Would you like to know what Winston Churchill, Francis Drake, Horatio Nelson, William Shakespeare, Agatha Christie and The Beatles have in common? I certainly do! 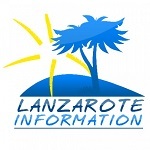 A new book called The British Connection to Lanzarote answers these and other questions. 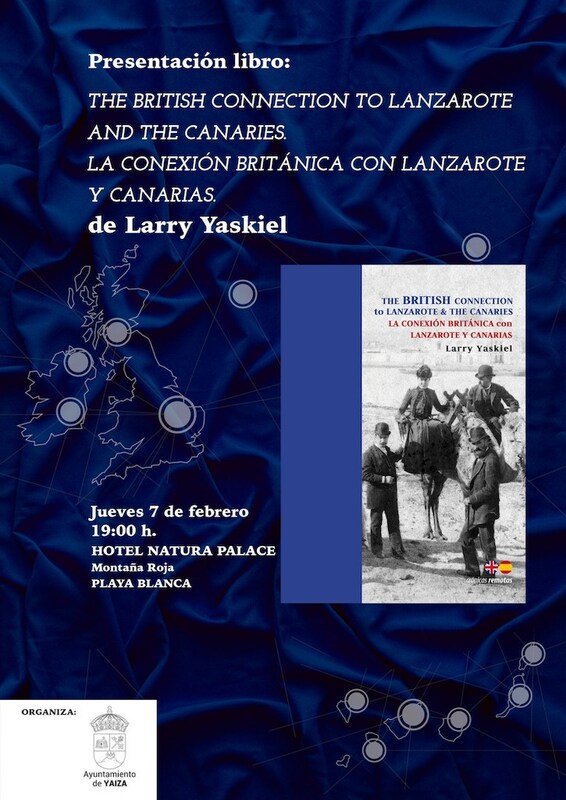 The presentation of the book entitled “The British Connection to Lanzarote and the Canaries / La conexión británica con Lanzarote y Canarias” by English journalist Larry Yaskiel will take place on Thursday 7th February 2019 at 19h in the Natura Palace Hotel in Playa Blanca, near Montaña Roja. This is a bilingual book that talks about the economic, social, cultural and political relationship between the British Isles and the Canaries. More than fifty links between the two archipelagos are described in the book’s 254 pages after researching since the 1980s, among others, the archives of renowned institutions such as the British Museum, the British Library and the National Library of Ireland. The book has been published by Ediciones Remotas with the support of Yaiza’s Town hall. The author’s theory represents a new approach because it establishes the first common point between British and Canarian history as the Norman Conquest of the Canaries in 1402 starting with Lanzarote, precisely. The union is not only established due to the Normans having conquered the English Crown several centuries previously – in 1066 William, Duke of Normandy, invaded England and was crowned as William I- but also because with Jean Bethencourt and Gadifer de la Salle -conqueror’s of Lanzarote and Fuerteventura for the crown of Castilla- came with several English knights. After this initial connection, the author explains how the following centuries were marked by the rivalry between England and Spain over the control of the routes and the business with America to the point that the Canaries suffered several naval attacks by English navigators. These are only but a few of the connections between the two sets of islands that occurred over six centuries up until the modern times described in the book. Its author, Larry Yaskiel was born in London in 1936 and worked in the music industry for over twenty years as a senior manager with big international labels with rockstars such as Jimi Hendrix, Supertramp, The Who, Eric Clapton, Deep Purple and The Bee Gees. In 1979 he came to Lanzarote on holiday and it proved to be a life changing experience. He moved to the island where he edited and wrote for Lancelot, the oldest English-language tourist magazine in Spain, of which he is currently an an honorary editor. Larry Yaskiel not only will share his experience researching the book on the day but will be happy to answer any questions the attending audience may have. Surely it will be an interesting opportunity not to be missed. Villa Via Lactea is one of Lanzarote's iconic properties. An original Canarian design, extensively modernised in 2018 to the highest standards.